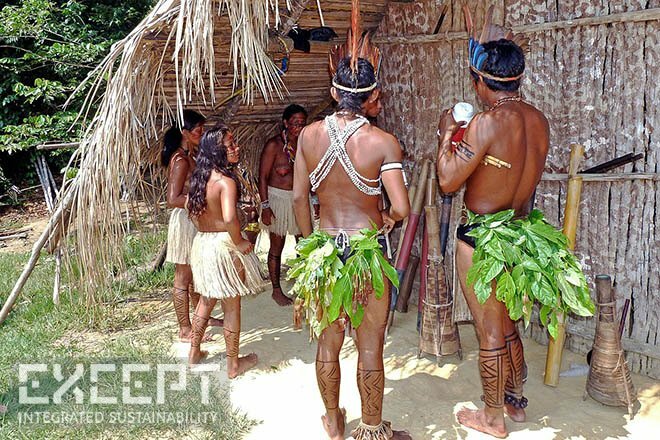 An amazon tribe made first contact with the outside world to look for help to combat illegal loggers and drug traffickers. They asked for weapons and allies, according to Zé Correia, a member of the native Brazilian Ashaninka tribe who met them. The tribesmen told him they had been attacked in their forest homeland by non-Indians, most probably drug traffickers. The mysterious Siberian craters that appeared this spring could be a visible effect of global warming, according to researchers. They believe the long-frozen Siberian permafrost thawed due to increased temperatures, collapsed and let free methane gas trapped beneath. Pope Francis called for nature to be protected from criminal abuse during a visit in the southern Italian town of Caserta, near Naples, in a region long blighted by illegal toxic waste dumps and the pervasive grip of the Camorra mafia. "It is particularly important in this beautiful region of yours which requires being protected and conserved, it requires us to have the courage to say no to any form of corruption and illegality," he said to applause from the crowd. Business & Economy: "Double Irish" and "Dutch Sandwich"
For Israeli arms makers, the Gaza war is a cash cow. Factories worked around the clock turning out munitions as the army tested their newest systems against a real enemy. Now, they are expecting their battle-tested products will win them new customers. Google maps now also features underwater pictures. Scientists have collected panoramic photos of coral reefs and other marine marvels off the coast of Australia and in the Caribbean. China has announced it will build the largest super particle collider by 2028. If China succeeds, they will become a leading country in particle physics, overtaking Europe and the U.S. as leaders in physics. The Indian government plans to rapidly accelerate wind energy generation, adding 10,000 megawatt every year. Sweden plans to thwart racism by eliminating the mention of race from its laws. The Swedish government began an investigation into how to remove the concept from all legislation, as has been done in Austria and Finland. Philippines welcomes 100 millionth baby. While a growing population means a larger workforce, it also means more dependants in a country where about 25 per cent of people are living in poverty. A township in Solomon Islands is the first in the Pacific to relocate due to climate change. Land to build a new, larger settlement catering for some 5,000 inhabitants has already been acquired. Russian deputy PM mocks Obama by tweeting ‘unmanly’ photo of president. A lake suddenly appeared in the Tunisian desert. A local geologist believes that it came about as due to a seismic tremor creating a leak in the ground water table. Jiyuan, a city in Henan province in China, is spending 5 million yuan ($813,000) on two hanging bridges over a reservoir on the Qinhe River for migrating macaques. A Swedish father has come under fire for taking his two video-gaming sons on a trip to Israel, the West Bank and occupied Syria in order to teach them the reality of war.